Google Gmail TAP, 8-Bit Google Maps for NES! This method of inputting text into Gmail no longer uses the "long" and "overly sophisticated" QWERTY keyboard, which incidentally also takes up too much space on your screen, or makes your phone too thick. This was announced on April 1st (AHEMAprilFools'AHEM), and will be the NEXT technology. There will be 2 buttons, well actually 3. They will be the dot(. ), dash(-), and Spacebar. We can also opt for "double-efficiency", which allows you to type TWO messages at once, by using 6 buttons, one set on the top, and another on the bottom. The lead engineer of Gmail Tap is Reed Morse, coincidentally. Other Google employees report being "Constricted by the keys" and "I just feel so overwhelmed by the number of keys." Here's a video promoting Gmail Tap, from Google! 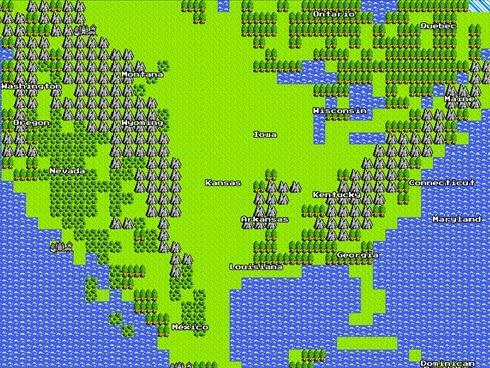 8-Bit Google Maps, for NES! Remember the NES, well, if you still have one lying around in your basement, now is probably the time to use it again. With the announcement of 8-Bit Google Maps, you can go buy a cartridge from stores (when it's available), and plug it in. All that is necessary, is a 56K Dial-up connection to connect to the hundreds of thousands of Google servers, designed to overcome the limitations of the NES system. For now, you can use it by going to Google Maps, and going to "Start your Quest". It features 8-bit landmarks and hidden monsters (yay!). Remember to check out street view too!! If there are any problems, remove the cartridge from the NES, and proceed to blow into it.